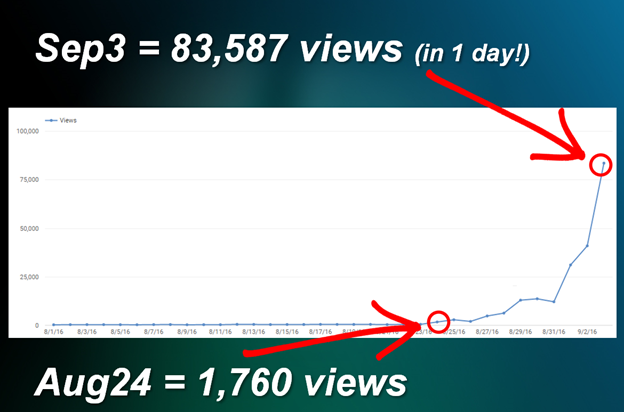 Serious tech/geek/nerd DROOL video, a million views, and toilet paper. Check it out! Trying something a bit different with this post. Let me know what you think. I put together this video 5 years ago and didn’t think much of it. Some people would say its kinda dumb, but hey!, you can’t argue with the numbers. Wanna know more? I put together a little analysis of this when it started going mini “viral” last fall, check out this post. TECHS / GEEKS / NERDS / H4X0RS – Check this out! You’ll have to work really hard at keeping the drool in your mouth after watching this crazy tour of Deadmau5’s House! IT’S AWESOME!!! Facial recognition FOR TOILET PAPER !!??!!#!! What’s your messaging personality? Do you want to send secure and anonymous messages, make your own memes, or chat with your favorite 200 friends all at once? Whatever your preference, there’s an app for you. Check out these 11 choices to see which fits your personality and messaging style the best. Life is getting easier for social media managers. Facebook, Messenger, and Instagram are all coming together. Facebook Business users will be able to read and respond to messages from all three platforms. And it’s all happening in their new Page Manager inbox. Facebook and Instagram have been integrating over the last several years. Zuckerberg bought the picture and video sharing app back in 2012 for about a billion dollars. Those running Facebook ad campaigns have seen the default Instagram option. Just link up your accounts. Every ad you create is automatically turned into an Instagram version. Each is placed for your chosen custom audience. There are many creative and strange videos that top the charts throughout the year…. meaning they get a lot of “views”. Here are a few that you may have missed and might enjoy. There are many other videos that are hosted on Vimeo such as this AICP sponsor reel which demonstrates interesting eye candy. One of my favorite as a technology futurist, Hyper-Reality. Someone’s vision of what the future holds for us in our daily lives where physical and virtual realities are merged into a kaleidoscopic view. Wow! How is this possible? I clicked on the “Analytics” button on my YouTube video and start digging.